So yeah… it’s been pretty quiet here over the past few weeks. I actually have been drawing but lazy about posting. I have some stuff piling up. Will post soon. In the meantime I found two interesting graphic novels/comics lately that I thought I’d recommend. All-Star Superman is one of the best things I’ve read in a long time. Superman is a hard character to write for (how do you write a compelling story for a character who’s essentially perfect?) 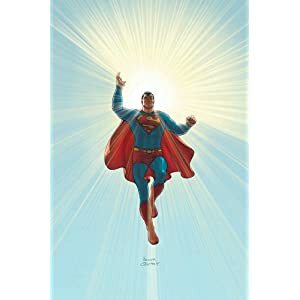 and lesser talents seem to try to shape him in the ethos of my generation (lacking confidence, conflicted, flawed) but Grant Morrison takes him back to his confident, silver-age roots and does an amazing job. The art at first I didn’t like but after studying Frank Quitely’s work, I’m seriously impressed. His composition and loose style is masterful. I’ve read this book multiple times since buying it. 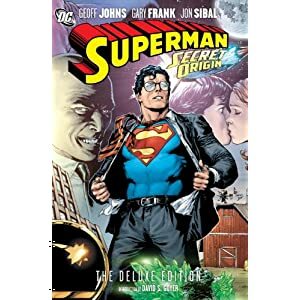 Superman: Secret Origin on the other hand was something that I’d been looking forward to for a while but ended up being a huge disappointment. Basically Superman is a conflicted, fish-out-of-water character. Embarrassed of his tights, doesn’t want to be a superhero, etc. Superman doesn’t work this way. Also the art is surprisingly poor. Compared to Frank Quitely’s loose but elegant style, there is a ton more detail here but lacking in talent. The characters appear so stiff on the page that I would bet that a lot of them were traced from photos. Also, in many of the pictures, the proportions are just wrong. Anyway, read All-Star Superman. Ignore Secret Origin.